David Shevick sees the body as it is – alive and pulsing. He is fascinated by how the body heals and works, and has built his practice around those two central interests. David is a licensed acupuncturist and herbalist, specializing in fertility, back pain and chronic fatigue. A natural healer, David has always been a body-centered person. He practices yoga and stays in shape, leading by example and encouraging his clients to pursue similarly active lifestyles. Much of his work centers around helping clients get back in touch with their bodies. David’s confidence in the body’s healing potential informs his work as an acupuncturist and herbalist. 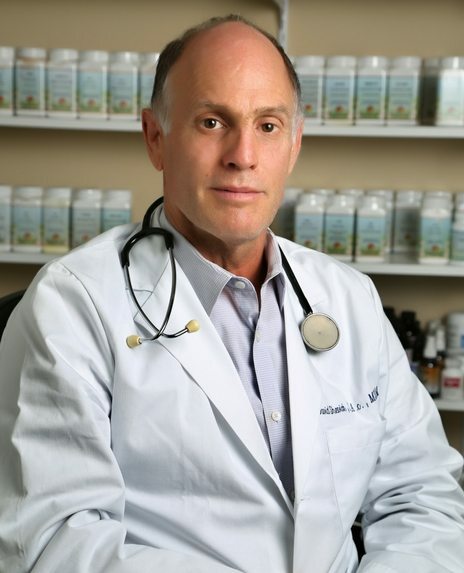 He provides holistic treatment and adjusts his healing approach to clients’ unique needs. His compassionate care guides people on their path to balance and recovery. David loves his job and his enthusiasm is truly tangible. “My work isn’t really work,” he says. Clients rave about his willingness to listen, vast knowledge, empathy and talent. David shows people that with the right care, pain can be addressed in a healthy way. This discovery is often empowering for clients, who come to David with physical and emotional challenges. “People work so hard and it really takes a toll on their health. A lot of people are run-down and depleted because of the sacrifices they have had to make for their career. Health problems have many layers, so it’s important to try to find the deeper issue,” David says. David finds this deeper issue. He does not treat a problem –– he treats a whole person. To learn more about David and his work, visit http://marinpainclinic.com/.